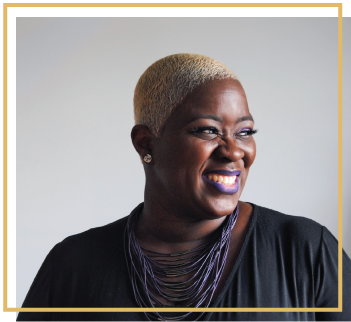 Yolanda Jamison a native of Columbia, SC, a dedicated hard-working mother of two teenage daughters, and an award-winning Paul Mitchell Stylist. Her passion for total beauty care came following her oldest daughter's cancer diagnosis in the spring of 2014. Having faced many challenges with her treatments, her daughter's complete and total hair loss drove Yolanda to discover how she could support her daughter and help her process through this major life challenge. Not wanting her daughter to feel less than the beauty she is, Yolanda decided to shave off her own hair, and what began as a mother's love turned into a desire for others to feel beautiful, in every moment of their lives. Wanting to find a way to give back, Yolanda began her journey to become a stylist. Her motto has always been: "Let Me Help You Love The Skin Your In," which has revolutionized how she approaches a women's quest for beauty. It's not just a physical manifestation of beauty, but a mental and spiritual journey as well. After serving ten years in the corporate America, through much prayer and soul searching, she decided to develop her craft on a professional level. In Fall 2015, Yolanda entered Paul Mitchell the School Columbia, earning her cosmetology license in April 2017. With the ability to make every person that sits in her chair feel good just from the massaging of the scalp, Yolanda has the skill and confidence needed to have you walking out feeling like the man or woman you were meant to be. She's also begun enjoying the process of making wigs, make-up and eyelash application, and total men's hair care.